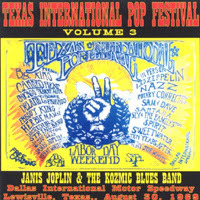 Hello boys and girls - starting a new series this week, the Texas International Pop Festival. This festival took place at the Dallas International Motor Speedway in Lewisville Texas on August 30th and 31st, 1969. There are 13 volumes in the set, each volume featuring one artist. Well except for the last two, which have a couple tracks each by multiple acts. These are soundboard recordings with a bitrate of 320, front and back covers. I'll post a few each week until they're done. They vary in length. After appearing on two Chicken Shack albums, "Forty Blue Fingers" and "OK Ken? 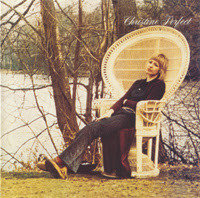 ", and before being convinced by her husband John McVie to join Fleetwood Mac, Christine Perfect made her first solo album which was not a commercial success. In later years she called this album a "contrived farce", referring to her lack of creative control. Nonetheless this is a very mellow, sweet album, featuring guest appearances on a couple tracks by members of Chicken Shack and Fleetwood Mac. A real standout is "I'd Rather Go Blind" from her days with Chicken Shack. Also a cover version of Danny Kirwan's "When You Say" from Fleetwood Mac's "Then Play On". Kirwan also co-produced this album. Contrived farce or not, this is a very very good album. My rip @ 320, with scans. One reviewer called this "one of the ten best krautrock albums of all time" - or something similar; I can't find the review now. A couple of the tracks are on the heavy side - the opening track "Dirty Yellow Mist" is 13 minutes of a simple guitar riff backed by brilliant keyboard playing, percussion, and other-worldly sounds - very cosmic. "The Executioner" is much shorter, but very disturbing in a way, with great lead guitar and keyboards. The rest of the album is hard rock, very inventive and original, sometimes aggressive, sometime very Pink Floyd like - I mean, there's pink pigs on the cover. Bonus tracks include tapes from the rehearsals and some alternate mixes, including a 24 minute version of one of the album tracks, "Flash". All in all this probably is one of the best 70's German albums - too bad the members seem to have disappeared from the music scene after recording this. Niagara was the brainchild of German drummer Klaus Weiss. The first self-titled album was all percussion, but the second, this one, included instruments and was much more in the conventional jazz rock vein. Still, there are four percussionists credited, including Udo Lindenberg and Danny Fichelscher of Amon Düül II, so this is jazz rock with a real emphasis on percussive rhythm. All instrumental with lots of funky guitar and bass runs, some great flute, sax, and other horns, this might remind some people of Can or maybe early Embryo. This is a vinyl rip that I cleaned up pretty good! 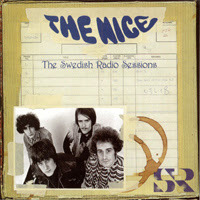 The Nice were booked to play live on Swedish radio in the fall of 1967, prior to the release of their debut album while they were still a quartet. Organist Keith Emerson was not yet the dominant force he became following the departure of guitarist Davy O'List, who is quite prominent on this session. The music is a bit of a mishmash, with Bob Dylan's "She Belongs to Me" starting a bit erratically but finally coming together. Their own composition "Flower King of Flies" has a more subtle vocal by bassist Lee Jackson than the studio version they eventually released. The version of jazzman Charles Lloyd's "Sombrero Sam" seems a bit like filler, but the booby prize of the evening is a cover of Vanilla Fudge's overwrought "You Keep Me Hanging On." A quick take of their own "The Thoughts of Emerlist Davjack" is followed by the gem of the date: a 12-minute workout of "Rondo." This version of "Rondo" easily eclipses all the other versions by the Nice . Considering the vintage of this long overlooked music, the sound is quite good, so any fans of the Nice should consider this to be a lost treasure worth acquiring. 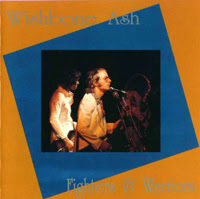 This bootleg is a great-sounding stereo soundboard of Wishbone Ash at the Paris Theatre in London on May 25, 1972 doing material mostly from their album "Argus". OK see you next week - as always comments appreciated! Thanks for the Nice, My Solid Ground and the Wishbone Ash. You're greatly appreciated! hi garcolga!thank you for Niagara album!thank you! Hi thanks for the great live music. Like usual, all great stuffs...you and other guy are the numbers one in the blogmusic and in the music too...you're number one in Krautrock...god bless you, L.
Btw, sorry but no time until now to answer at your private mail, send to me at 2 or 3 months ago, sorry L.
I will do it this week. Hi Steve - You're welcome & thanks for the kind words. Hi Andre - No got. Hi Betelgeuse - You're welcome. Hi Dr. Dream - Yes I am damn fine I agree. When are you going to start blogging? Hi Leo - You're welcome. How's it going in Holland? Hi Kikas - wow I didn't know you lived in the Azores! 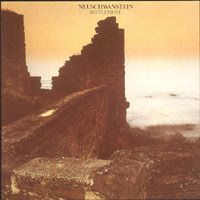 NEUSCHWWANSTEIN - Battlement (1978) is fantastic - it's realy Germany Genesis ! I like it so much! OSIRIS - Visions From The Past (2007) - very prog band from Bahrein! 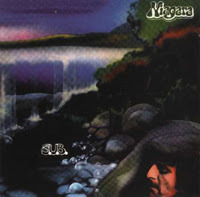 Niagara album is cool. I like that percussion based stuff, reminds me of Dude durst's solo album a bit. I agree with your openion about My Solid Ground, a Milestone.I like it much-worthy to listen for Prog fans. 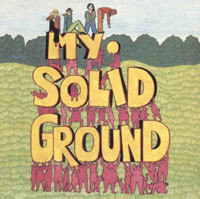 My Solid Ground is excellent, i've had the cd for years. the executioner is awesomely evil sounding. Hi poor - Yeah I like that Neuschwanstein too. That opera blog has a ton of stuff on it, thanks! Hi Gordon - You're welcome! Hi anonymouses - Thanks for the info on Baba Yaga. Hi Liam, I liked My Solid Ground, it was very much like your description (though I wish they had a stronger vocalist) and Wishbone Ash were/are a great band. Also Fresh Blueberry Pancake from a previous post. Thanks - Julie. BTW as people post their country I'm ex UK, now Spain where tastes can be very commercial ... my neighbours probably think I listen to some weird stuff! last track on that my solid ground seems to be corrupted. anyone else have this problem? otherwise, pretty awesome stuff! the full length version of flash is a total monster. Hi Julie - nice to hear from you, as always! found this blog a month ago and I am working my ways through from the beginnings (and man, I made it already to February 2006!) - I have to admit this is a fantastic selection.. I have actually SEEN that show of Amon Düül II in Wuppertal (April 1st post) and those guys really still rock - I did not know that there is a recording of this show around but I am glad that you share with us. Hi anonymous - Yeah that's a sweet album alright. Hi infinitefool - Ypu're welcome! Hi Pater Kraut - Glad to see somebody nosing around the archives, welcome aboard. Wow you saw Amon Düül II!!! Great performance of the best phase of the group. Thanks to share this rare material, as always, your posts are so great stuff. Thank you, thank you, thank youuuuu! 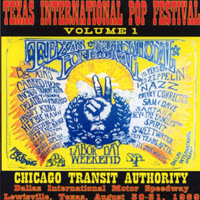 for the Texas International Pop Festival posts. I have been looking for these since the day after I went to the festival in 1969. It was a defining time in my life that I can now relive with great enjoyment. I already had My Solid Ground, but because of some clicks & cracks in my copy, I opted for an upgrade... That is a great album, especially for krautfreaks like me! Flash (entire version) is heck of a piece, wonder why they didn't include it in the original record.